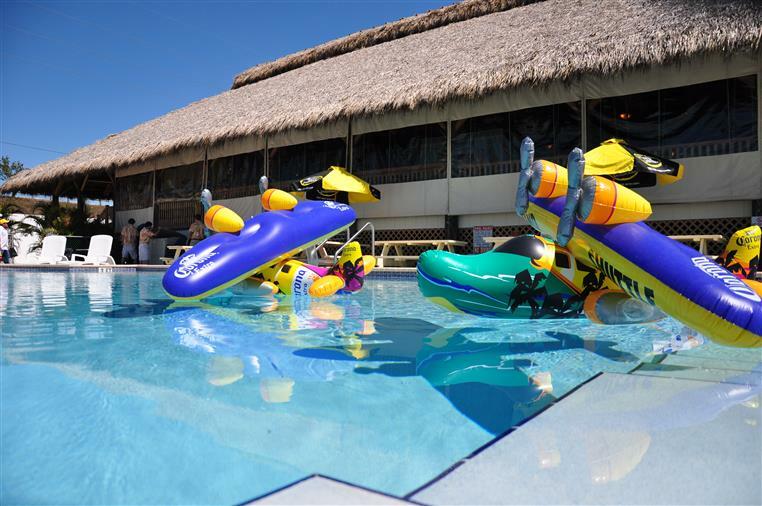 GIANT POOL AND BEACH PARTY SUNDAY FUNDAY EVERY WEEK ! 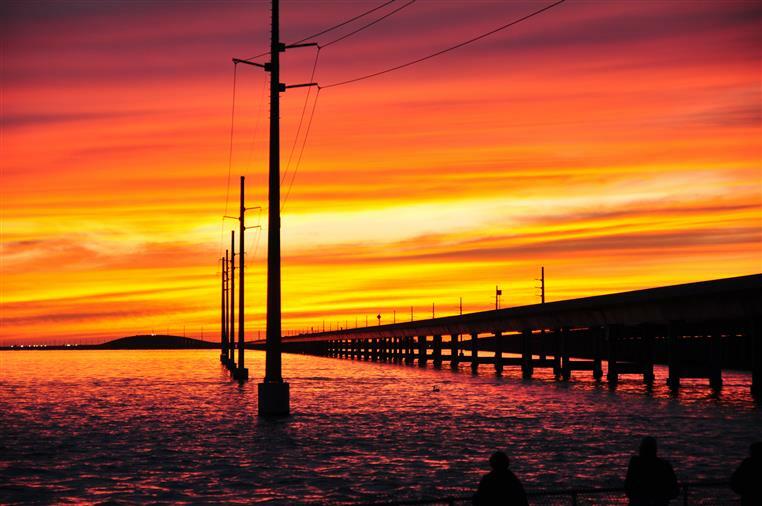 Sitting at the foot of the historic 7 Mile Bridge, Sunset Grille is not only a great place to watch the sunset while having dinner or drinks, but also the perfect oceanfront venue! It's designed like a thatched south seas tiki hut and has a large oceanfront deck with one of the largest pools in the Florida Keys! Also, you can relax and kick your shoes off to enjoy a drink on our sandy beach. The food is excellent and customers love our fresh local seafood, steaks, chicken, burgers, raw bar, sushi, salads and all the other many offerings. Hogfish Snapper is featured as one of the unique local fish as well as grouper, yellowtail snapper, dolphin, and other daily fish specials. Sushi is served daily and with over 75 items on the sushi menu alone, it's the best in the Keys and sure to please! 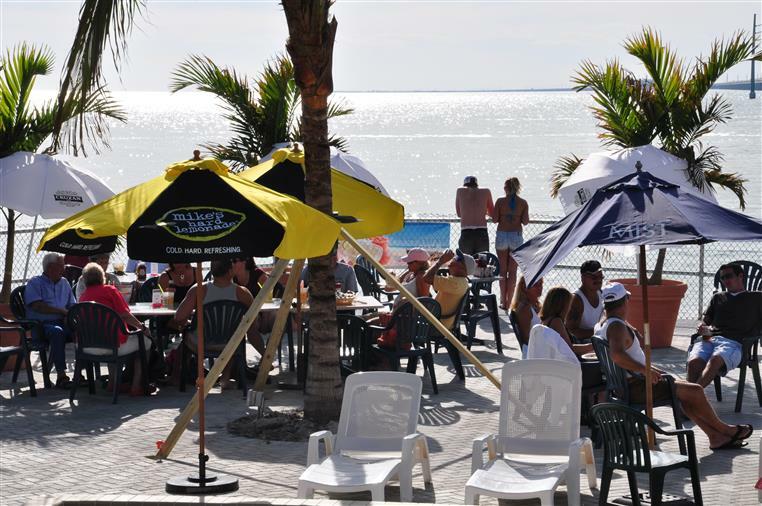 With our diverse menus, there is certainly something for everyone here at the Sunset Grille. 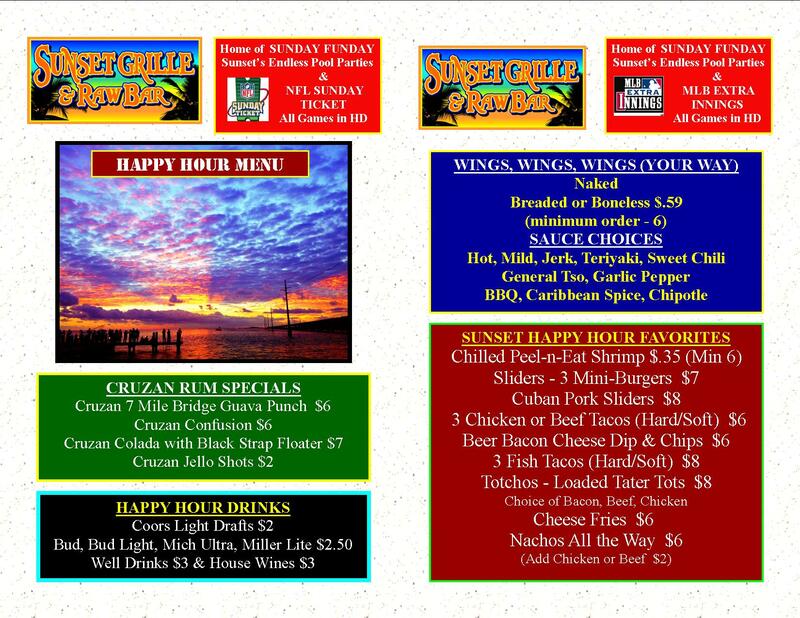 Happy hour is 3-6pm daily ! Finish off the evening with our delicious homemade Key Lime Pie or Bourbon Pecan Pie. Service is always our priority, and we strive to provide you with a memorable experience. 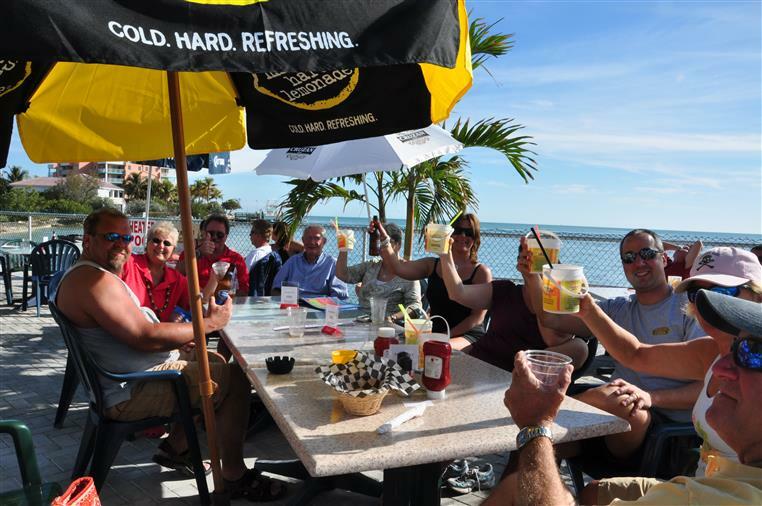 Join us every Sunday for "Sunday Funday" - our longest running tradition (over 400 weeks) featuring a different theme each week from BBQ Pool parties to Oyster Roasts to Reggae Sunsplash parties. Hangout, dance to the DJ's beats and enjoy the best day of the weekend from 1-5 pm. Live music nightly as well ! !